It looks like the Winter has finally arrived on the West coast, although depending on who you ask they would insist it never left in the first place. It was a combination of elements last night that made for a pretty rough run, and reminds me that I've been very lucky with the weather so far with regards training, although I get the feeling that's about to run out. I sat about till about 8 p.m and figured things were not going to get much better, so on with the hoody and hat (this looks like its going to become a regular feature, bye bye summer) and off I went. 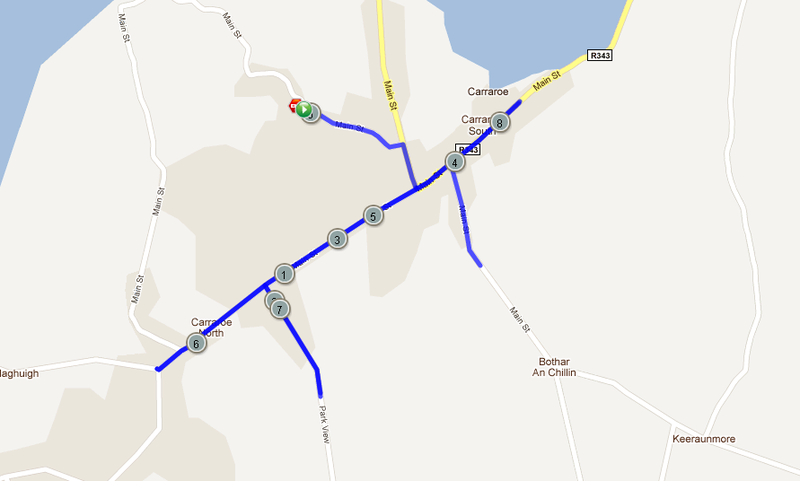 I opted to do two loops locally stretch the run out for 9km, as any hope of travelling to Inverin for some runs seems to be gradually fading, much like the length of the days at the moment. I took off anyways, and got onto the road, i was feeling fairly sore still from the run on Saturday and I reckon that was down to a lack of stretching on my part, ah well live and learn. 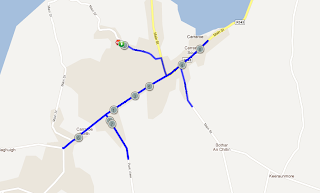 The run itself was fine to a point, anywhere that had cover was relatively comfortable to run but when I got into the open areas I could feel the crosswind pushing me to one side and slowing me down, especially anywhere that a slight incline was on the road. Winter? Summer is going to an end! And then there's Autumn :) Great blog! I've just found your running blog through Brendan's website.